DAVID LE/Staff photo. 6/26/15. 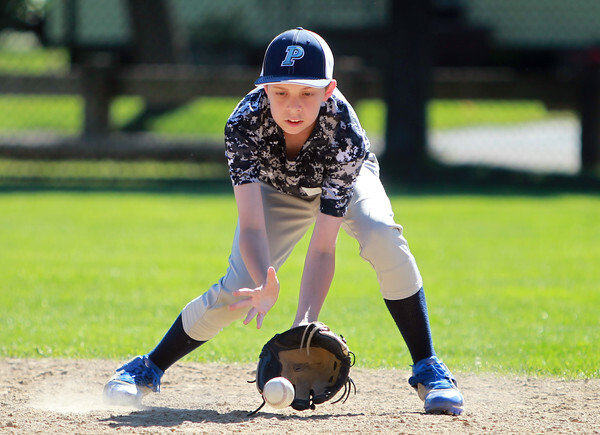 Peabody Blue's Matt Botelho fields a grounder at practice on Friday afternoon.